Better Wound Care is Now Easier. Save Time. Save Money. Safety. The SplashCap makes it easy to delivery large volumes of irrigation fluid in seconds. 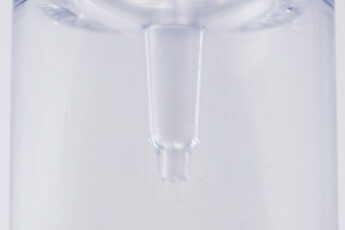 The fluid goes directly from the saline bottle to the wounds by simply squeezing the bottle. Approximately 10% of Emergency Room Visits are for lacerations. By saving minutes off of the procedure, set up and waiting times; there is a big time savings for the patient treated AND a bigger savings for the five patients downstream waiting for the provider. The SplashCap is so easy. It takes seconds to irrigate. Even the busiest provider will do it themselves, since and it is faster than waiting on someone else. Syringes are tedious to use, very messy and scare kids. 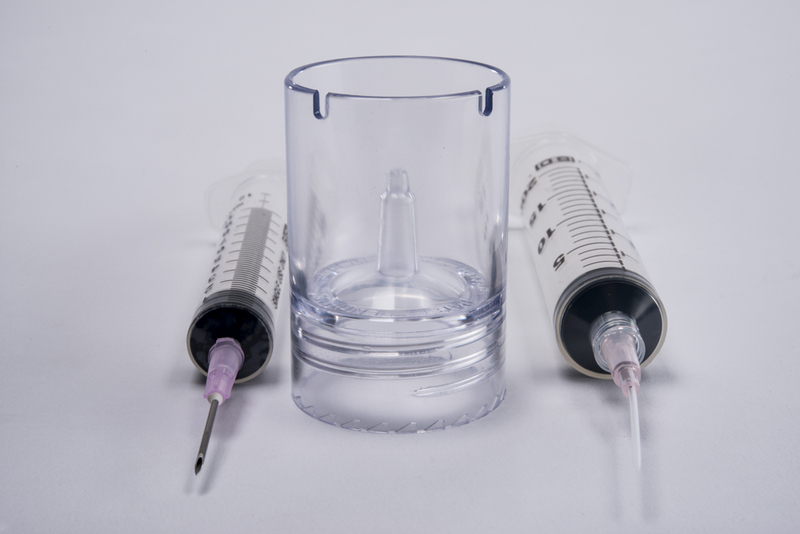 It would require refilling a 10 ml syringe 50 times to equal to deliver 500 ml of saline. No one wants to do tedious length procedures that slow them down. Patients wait for the doctor; who is waiting for the nurse to tell the tech to irrigate the wound; who then does a lengthy irrigation procedure and then must find the doctor. Since wound care is typically about 10% of ER visits, *saving 30 minutes for 10% of your patients can save 3 minutes of turnaround time for your department. 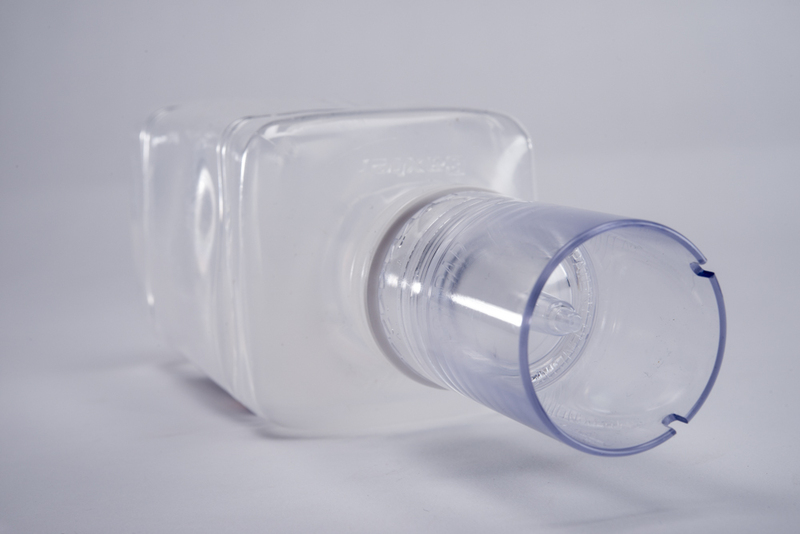 The SplashCap retrofits to existing saline bottles, simplifying procurement and reducing costs compare to proprietary bottles. 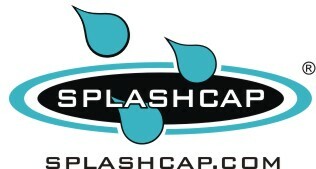 The SplashCap saves time and it costs no more, and often much, much less than competitor’s products. Save millions without paying more. Syringe irrigation is slow and tedious. Prolonged procedures cause bottlenecks. This leads to staff playing cat and mouse games; which waste time, money, department budget resources and lead to patient dissatisfaction. The SplashCap costs no more than the combined cost of using a large syringe, basin, and syringe shield shield. Syringe shields are marked up in irrigation kits often go unused and wasted. Competitor products cost more. For example high volume irrigation products attached to spring loaded syringes, oxygen tubing and electric washers cost A LOT more. Products with proprietary bottles are more expensive. Needlesticks and backsplash injuries are unsafe. These injuries must be reported and treated. Facilities that don’t provide necessary protection for staff can be fined. The Built In Shield enhance universal precautions to prevent splatter to protect staff and patients. The Built In Nozzle with the long shield allows you to visualize and accurately target the wound with a single stream. Having a shield makes it easier and safer to irrigate wounds so that it actually gets done (rather then ignored) for better patient care. Having a shield allows you to squeeze the bottle harder to generate more pressure without getting splattered. 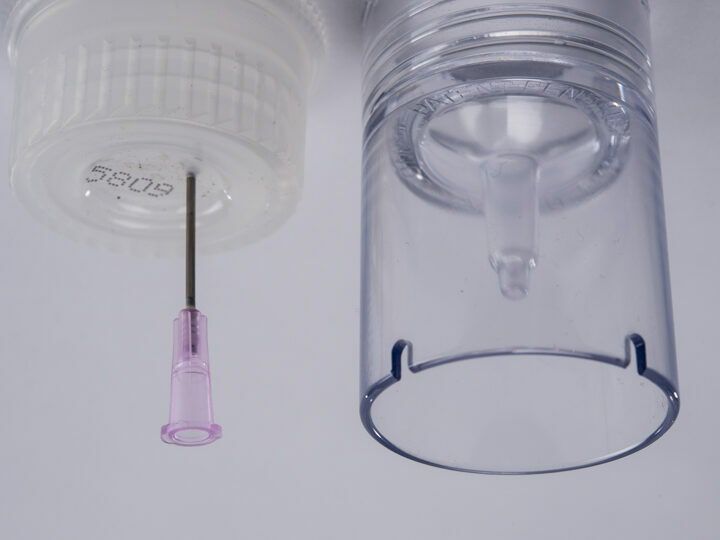 Poking holes in bottles can lead to needlesticks, since the bottle caps are thick and the needles will break. 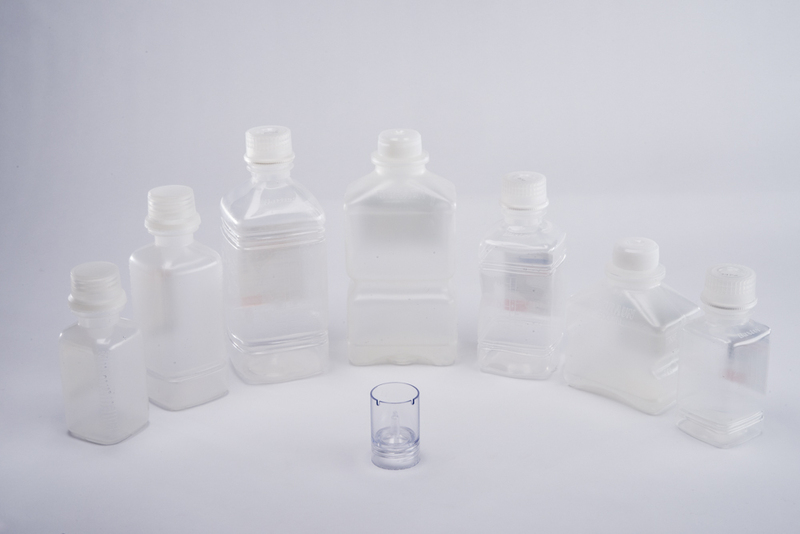 Having multiple holes in a bottle with multiple streams means that much of the fluid will hit outside of the wound and be wasted. 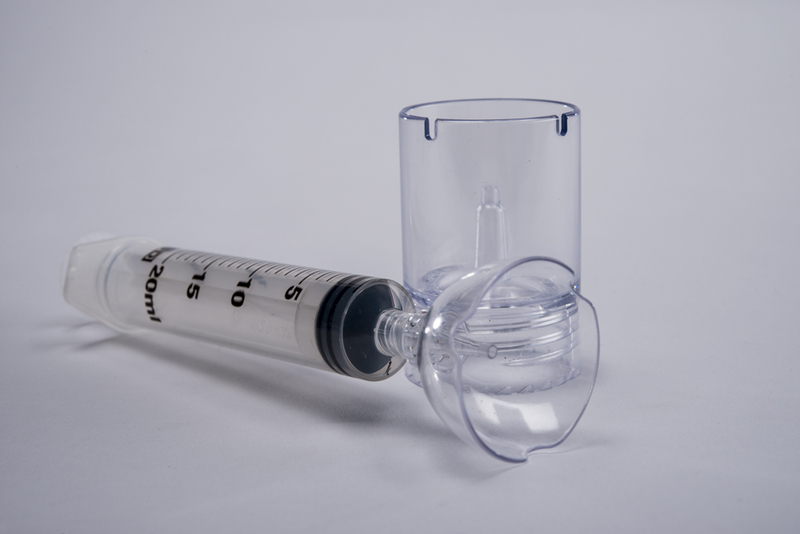 Without a transparent shield you cannot accurately target the wound without leaning down close to the body fluids to monitor or irrigating from a far causing a infectious hazard. Without a shield, the harder you squeeze, the more you splatter. a. Greater than 8 psi. b. Similar to a syringe. c. It depends on how hard you squeeze bottle. d. It depends on how hard you squeeze syringe.